This topic guide has been written by Dr Andrea Danese, Consultant Child & Adolescent Psychiatrist, and Dr Patrick Smith, Consultant Clinical Psychologist. Credit to the National and Specialist Anxiety and Traumatic Stress Clinic, Michael Rutter Centre, Maudsley Hospital. Prof Andrea Danese is Professor of Child & Adolescent Psychiatry at the Institute of Psychiatry, Psychology and Neuroscience at King’s College London. He is also Honorary Consultant Child and Adolescent Psychiatrist at the National and Specialist CAMHS Clinic for Trauma, Anxiety, and Depression at the South London & Maudsley NHS Foundation Trust. 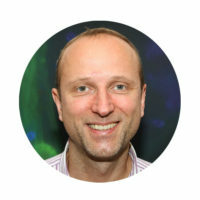 The research from his team focuses on childhood trauma, and he has published widely on the consequences of childhood trauma, the biological mechanisms through which childhood trauma affects health, the mechanisms of resilience, the reversibility of biological liability linked to trauma, and treatment of trauma-related psychopathology. 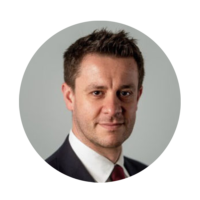 Dr Danese is also Consultant Child & Adolescent Psychiatrist of the National & Specialist Child Traumatic Stress & Anxiety Clinic, at the Maudsley Hospital, London, UK. This is a top-tier clinic for children with complex histories of trauma victimisation and treatment resistance. The clinic has also been advising the UK Department of Health on public health strategies and clinical response to emergencies. 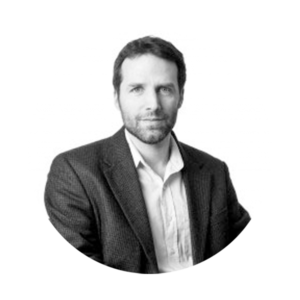 Dr Patrick Smith is a Reader in Child Clinical Psychology at the Institute of Psychiatry, Psychology and Neuroscience at King’s College London. He is also Honorary Consultant Clinical Psychologist at the National and Specialist CAMHS Clinic for Trauma, Anxiety, and Depression at the South London & Maudsley NHS Foundation Trust. His collaborative research has focused on understanding children’s psychological reactions to trauma, and on developing individual and group interventions for traumatised young people. With colleagues and students, he has investigated cognitive models of PTSD in children, and has evaluated Cognitive Therapy for PTSD (CT-PTSD) in children and young people in randomized controlled trials. He is currently leading a project, funded by the Medical Research Council, to develop and trial internet-delivered CT-PTSD for young people. He is a longstanding Board member of a charity, the Children and War Foundation (www.childrenandwar.org), and in this role has helped to develop and evaluate a CBT-based group intervention for children exposed to war and disasters. Most children and young people (hereby children) experience at least one traumatic event before age of 18 years. A sizeable minority of children exposed to trauma will develop symptoms including re-living of the trauma, avoidance strategies, and physiological hyper-arousal. When these symptoms persist for more than one month after trauma and are impairing, they indicate a diagnosis of Post-Traumatic Stress Disorder (PTSD). It is important to identify and treat PTSD because many children fail to recover from the symptoms without treatment. Trauma-Focused Cognitive Behavioural Therapy is the treatment with the strongest evidence based in children and is often effective. Eye Movement Desensitisation and Reprocessing (EMDR) can also be helpful. There is no clear evidence to support use of medications for treatment of PTSD in children, but medications may be very helpful to treat other psychiatric problems (e.g., depression, anxiety) that often accompany PTSD. By age 18 years, up to 80% of children are likely to have been exposed to at least one potentially traumatic event. However, most children who are exposed to potentially traumatic events do not develop PTSD. Up to 7% of children will have developed PTSD by age 18 years, and up to 4% of children have PTSD every year (Breslau et al, 2006; Copeland et al, 2007; McLaughlin et al, 2013). 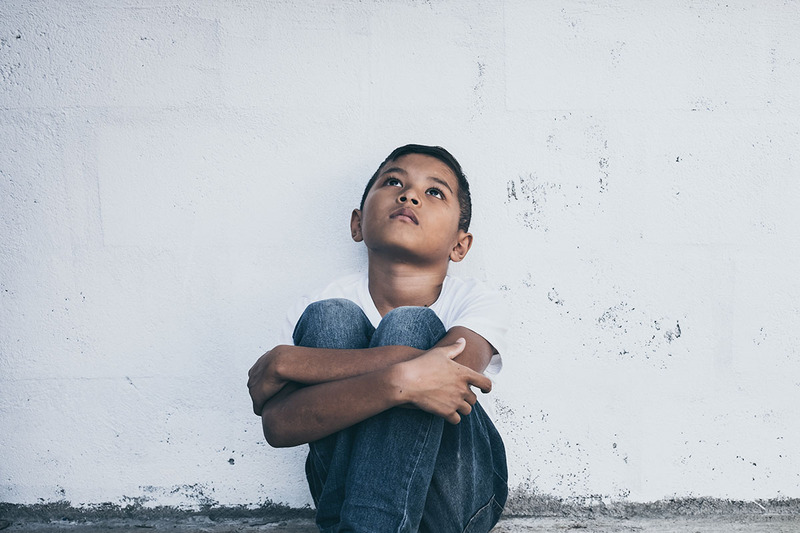 Because not all children who experience trauma develop PTSD, it is important to understand how to identify the more vulnerable children in order to provide adequate support and treatment. The amount of trauma exposure is important: children exposed to more traumatic events are at greater risk of developing persistent PTSD. The type of trauma exposure is also important: children exposed to interpersonal traumas (such as physical or sexual assault) are more likely to develop persistent PTSD than children exposed to non-interpersonal traumas (such as accidents or natural disasters). Girls are at greater risk of developing PTSD than boys. The post-trauma social environment is important: where there is low social support, or poor family functioning, children are at greater risk. Children who try to cope by pushing memories away, withdrawing, or distracting themselves are more likely to develop PTSD. One of the most important factors is children’s beliefs during and after the trauma. For example, children who believed that they were about to die during the trauma are particularly at risk of developing persistent PTSD. About half of children who develop PTSD in the aftermath of trauma will recover without any professional help. A meta-analysis of studies following-up children with PTSD who did not receive treatment showed that 21% of young people had PTSD at 1-month post-trauma, 15% had PTSD at 3 months post-trauma; 12% at 6 months; and 11% at 1-year post-trauma (Hiller et al 2016). On the one hand, this shows that, as for many other psychiatric conditions, it is possible to observe recovery without intervention in some cases. On the other hand, the finding points to the need for effective interventions for the significant proportion of children who are likely to develop PTSD after exposure to trauma. Clinical services and staff can expect an increase in referrals following traumatic events that involve large numbers of young people. Disaster planning can help to reduce the risk that clinical services are overwhelmed if major traumas occur. In the aftermath of traumatic events, it is common for children to show psychological responses to stress. Children may become tearful, upset, or clingy; struggle to pay attention or to sleep; repeatedly play or draw about the event or instead avoid talking about it; and even get headaches or tummy aches. These are normal emotional responses to trauma and they will subside within days or few weeks in most children. When symptoms persist for more than one month and impair the child’s functioning (e.g., their performance at school, the ability to socialise with peers), children may meet criteria for a diagnosis of Post-Traumatic Stress Disorder (PTSD). The World Health Organisation’s International Classification of Diseases 10th Revision (ICD-10) describes three main types of PTSD symptoms (WHO, 2013). Children with PTSD experience persistent remembering or reliving of the traumatic event. For example, children may have unwanted and distressing thoughts or memories of the event that come to their mind and, thus, may feel that they are not in control of their thoughts. Children may also report recurring nightmares about the event or related content. More rarely, children may experience frank dissociative symptoms (flashbacks) where they not only have intrusive thoughts or memories but also lose awareness of time: children may feel as if the traumatic event is occurring again at the present time. Re-living may occur at any time but does occur more often when children are not engaged in activities, for example, as they try to fall asleep. Furthermore, re-living can be accentuated when children are exposed to circumstances resembling or associated with the stressor (triggers; generally sensorial experiences, such as a sight, a noise, or a smell). Although some children may be aware of these triggers, others may not and feel even less in control of their thoughts. Because of the distress triggered by re-living, children may develop a series of maladaptive coping strategies to avoid it. Although children may feel that these strategies are helpful in the short term to reduce distress, the strategies are generally maladaptive, or unhelpful, in the longer term to reduce the occurrence of re-living. For example, children may overtly try to avoid circumstances resembling or associated with the trauma. Therefore, children may refuse to visit places or to meet people. They may also refuse to go to bed or try not to fall asleep in an attempt to reduce nightmares. Similarly, children may become very upset if they perceive that they are forced to experience again circumstances resembling or associated with the trauma. Children may consciously engage in these avoidance behaviours when they are aware of contextual triggers. At other times, children may be unaware of such triggers and engage in these behaviours unknowingly. In addition to these overt avoidance behaviours, children often also engage in more covert avoidance strategies, such as keeping themselves occupied and distracted in an attempt to reduce the occurrence of re-living. Adolescents may also start abusing substances to reduce re-living and associated distress. Because of the trauma experienced and the often unpredictable nature of the re-living, children may feel under threat. Therefore, children may be very alert and look out for potential dangers or be very jumpy. Because of the high alertness, children may also be very irritable and have extreme reactions (including anger) to even minor stressors. Furthermore, because of the high alertness, children may struggle concentrating on daily tasks or falling / staying asleep during the night. Because symptoms of physiological hyper-arousal can be due to a range of different conditions, it is important to understand if the above symptoms reflect a change in functioning and were not there before exposure to trauma. In addition to these three main types of PTSD symptoms, the American Psychiatric Association Diagnostic and Statistical Manual of Mental Disorders 5th edition (DSM-5) also highlights symptoms related to negative thoughts or feelings that began or worsened after the trauma. This is to recognise that, in the aftermath of trauma, children may for example hold overtly negative view of themselves or the world, put exaggerated blame on self or others for causing the trauma, or struggle to find interests and engage in activities. The DSM-5 (APA, 2013) also recognised that PTSD symptoms that were originally described in war veterans may fail to capture some expressions of abnormal responses to trauma in young (pre-school) children, who have only incomplete cognitive development (e.g., abstract thinking abilities). For example, although young children may experience distress in response to re-living, they may alternatively show no emotions or excitement. Furthermore, it may be more difficult to identify symptoms of avoidance or negative affect/cognition in young children, although behavioural observation may detect constricted play or social withdrawal. Finally, increased arousal may be demonstrated by extreme temper tantrums. In children as well as in adults, PTSD symptoms are typically accompanied by several other symptoms or diagnosis including depression, anxiety, or conduct problems. The two main diagnostic frameworks for mental health differ significantly in the way that PTSD is defined. The World Health Organisation (ICD-10) (WHO, 2013) restricts diagnosis to individuals who show the core symptoms of PTSD outlined in our introduction: intrusive recollections, avoidance, and physiological over arousal. The American Psychiatric Association (DSM-5) (APA, 2013) defines PTSD more broadly, and includes alterations in mood and cognition as well as the core symptoms above. The DSM-5 also includes a separate, developmentally appropriate set of symptoms for diagnosing PTSD in children who are six years old and younger. There is substantial overlap between the two diagnostic symptoms, but there are differences which have potential to cause confusion. It is important that children and young people who present to healthcare services for assessment following trauma exposure are asked sensitively but directly about the traumatic event, and about their reactions to it. Failure to complete a formal systematic assessment can lead to PTSD being missed. It is important to ask children themselves about their reactions, because parents or carers may be unaware. PTSD is very rarely the only problem that children present with following trauma exposure, so it is also necessary to assess for broader difficulties including anxiety disorders and depression. A number of valid, reliable, and child friendly semi-structured interview schedules are available for assessing PTSD. The Clinician Administered PTSD Scale for Children and Adolescents (CAPS-CA) is considered the “gold standard” structured interview for diagnostic assessment of PTSD in 8–15 year olds. Questionnaires can also contribute to a diagnostic assessment. The Children’s Revised Impact of Event Scale (CRIES-8) is a brief, 8-item measure of intrusion and avoidance symptoms with well-established cut-off points. It has been translated into several languages. The Child PTSD Symptom Scale (CPSS) is a more detailed 20-item questionnaire, which also has well-established cut-off points and is sensitive to change over time and after treatment. Standard questionnaires for assessing symptoms of depression and anxiety should also be routinely used as part of an initial assessment. All professional and practice guidelines recommend Trauma Focused CBT (TF-CBT) for treating PTSD in children and young people. TF-CBT is a specialist form of Cognitive Behavioural Therapy. Typical treatment components include: psychoeducation about PTSD; development of a shared treatment rationale; behavioural activation; relaxation training; imaginal exposure to the trauma memory (imaginal reliving); cognitive restructuring and memory updating; and planned exposure to trauma triggers and reminders. A course of treatment will usually last between 10–20 weekly sessions. Most sessions will be individual (1 to 1) with the young person, and parents or carers will almost always be involved as well. For very young children, treatment is based on the same sound principles, but sessions may be shorter, and will more closely involve parents and carers. A number of independent randomised controlled trials from around the world have shown that TF-CBT (and closely related therapies such as Prolonged Exposure and Cognitive Therapy for PTSD) is a powerful treatment. In several trials, up to 80% of young people who completed treatment lost their diagnosis of PTSD. 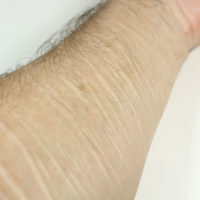 Relapse is very rare after successful treatment. These powerful and durable effects of therapy appear to be true for children across the age range (at least from the age of about eight years old and up), who have developed PTSD following from a wide variety of traumatic events including assaults, accidents, and sexual abuse. There is growing evidence that another short-term psychological treatment, Eye Movement Desensitisation and Reprocessing (EMDR) can also be helpful for children and young people. EMDR is recommended by NICE (2005) for adults with PTSD, but there is less evidence relating to children. In EMDR, children are asked to recall a traumatic event while moving their eyes from side to side, or while engaging in another “dual attention” task such as tapping. A handful of trials suggest that EMDR and TF-CBT are equally effective, and NICE states that EMDR “shows some promise” in the treatment of PTSD in children and young people. Rates of stress reactions among unaccompanied minors in the process of asylum seeking are known to be very high. The NICE (2005) guideline recognises that for adult refugees and asylum seekers there is encouraging evidence for a specialist form of psychological treatment, Narrative Exposure Therapy (NET). More recently, a developmentally adapted version of this treatment, called Kid-NET, has shown promising effects for young asylum seekers. Several studies have tested the effect of a variety of medications for the treatment of PTSD. None of them provides substantive evidence of efficacy, and pharmacotherapy is not recommended as a first-line treatment for children and young people with PTSD. However, as we mentioned above, children with PTSD very often have other difficulties, such as depression or anxiety disorders, which may warrant consideration of treatment with medication (Cohen et al, 2010). Despite recent advances in our understanding of PTSD in children and young people, and the development of effective treatments, major areas of uncertainty remain. Unlike most mental health problems, PTSD has a very clear onset because it follows soon after exposure to a traumatic event. For this reason, there is great interest in developing interventions that could prevent the onset of PTSD by intervening very soon after exposure to a traumatic event. However, developing effective early interventions has not been straightforward. For example, among trauma exposed adults, debriefing has been trialled as an early preventative intervention. There is evidence to show that a single-session, individually-delivered intervention for all trauma exposed adults (regardless of presence or severity of symptoms) can slow down natural recovery. In one study, this harmful effect of the intervention was still evident three years after trauma exposure. Studies such as this have led to a clear recommendation from the Department of Health (NICE Guideline 2005, 2011) that this sort of early intervention should not be routinely offered to trauma exposed adults. Single session, universal early interventions have also been evaluated with trauma exposed children and adolescents. These studies found that there was no difference in later PTSD severity between children who received the early intervention, and those who didn’t. That is, there was no evidence of the harmful effect that has been documented in adults. Equally however, there was no evidence that universal brief individual early interventions are helpful for children and adolescents. Alternative approaches are therefore needed. Rather than a single-session intervention for all trauma exposed young people, a multi-session early intervention for symptomatic young people has been trialled in two studies. These studies suggest that this approach may be helpful. Accordingly, NICE recommends that TF-CBT should be offered to older children with severe post-traumatic symptoms or with severe PTSD in the first month after the traumatic event. Further development and testing of early interventions is sorely needed. Most of the trials of trauma focused therapy for PTSD in young people have included children of school age. There is a marked lack of evidence about whether TF-CBT or other approaches are appropriate, safe, and effective for preschool children. Trauma focused CBT has been adapted for very young children. Adaptations include greater involvement of parents throughout, support for parents in managing behaviour, and the use of drawing and play when developing trauma narratives with children. One trial from the US reports very promising effects of developmentally adapted TF-CBT for very young children. A number of promising and informative case studies have also been published. However, further evaluations are needed. 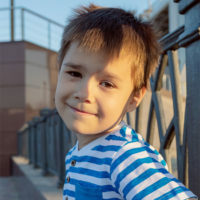 It is hoped that the new developmentally appropriate diagnostic criteria in the DSM-5 for children aged six and younger will stimulate further work. The National Institute for Health and Care Excellence (NICE 2005) and the WHO (2013) recommend Eye Movement Desensitisation and Reprocessing EMDR for treatment of adults with PTSD. In this short-term treatment, patients are asked to deliberately remember their traumatic event while moving their eyes from left to right, or while engaging in another form of dual attention such as tapping. The current NICE guideline is cautious about recommending EMDR for children, stating that “it shows some promise”. There are now several published trials of EMDR for children and young people with PTSD. They report positive findings, but sample sizes tend to be small. Although effective treatments exist for children with PTSD, many are not offered an evidence-based approach. In part, this is due to limited capacity in child and adolescent mental health services. It is important that services develop innovative approaches to increase capacity and accessibility of effective treatments. Therapist supported online treatments offer a potential way to do. Online delivery of trauma focused CBT appears to work very well for adults with PTSD. Children and adolescents may find online delivery of treatment particularly appealing, and perhaps more convenient and less stigmatising than attending clinic. There is evidence that for mental health problems other than PTSD, online and computerised CBT approaches can work well for young people. An exciting challenge is to develop therapist supported online trauma focused therapy for children and adolescents with PTSD. Another important challenge is to identify factors that confer resilience or vulnerability in the face of trauma. As noted above, only a significant minority of children exposed to trauma develop PTSD or other psychiatric disorders after trauma. Although we have some understanding of the differences between groups of trauma-exposed children who do or do not develop psychopathology, it is important to develop more accurate models that can inform individual risk prediction. A better understanding of the determinants of resilience and vulnerability in trauma-exposed children will inform on new potential treatment targets and a more rationale use of services. Yule, W., & Smith, P. (2015). Post traumatic stress disorder. In Rutter’s Child and Adolescent Psychiatry: Sixth Edition (pp. 806-821). Smith, P., Perrin, S., Yule, W., & Clark, D.M. (2010). Post Traumatic Stress Disorder – CBT with children and young people. Routledge, UK.